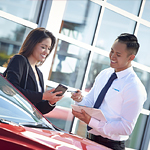 The Mazda Certified Pre-Owned program offers benefits that aren't to be found in other CPO programs. For example, the Mazda Certified Pre-Owned program includes no out-of-pocket costs for covered repairs at Mazda dealerships nationwide. There are other benefits we here at Brunswick Auto Mart can't stop talking about. Here are two other benefits that get us excited. As anyone who understands the driving experience knows, there's more to it than just getting behind the wheel. Driving should be a full sensory experience. 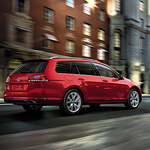 That's why the design team at Volkswagen has created such great design features for their Golf SportsWagen. Take the power tilting/sliding panoramic sunroof for example. This incredible design allows drivers to almost feel as if they were driving with the top down. The 12 square foot sunroof creates a sense of land and sky meeting above you. You deserve nothing but the absolute best when you are looking for a vehicle that will help you get your family from place to place. If you are looking for a popular hybrid minivan with exceptional interior features, check out the Chrysler Pacifica Hybrid. When you have a drink that you want to keep with you while you are driving, you want to have a place to put that drink where it will stand upright and keep from spilling. The Chrysler Pacifica Hybrid is equipped with cup holders for you and your passengers to help with that. 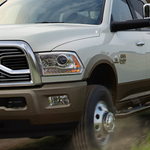 The Ram 3500 is a popular heavy-duty work and play pickup truck. Rams are well known for their towing prowess, and the 2019 version is no slouch in this department. Now, Ram 3500 drivers can tow extra heavy loads with the fifth wheel towing package. This system allows this hearty vehicle to tow up to 30,000 pounds of gear at a time, anytime. The Jeep Wrangler is a popular SUV known for its off-road aptitude. 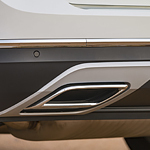 It has been redesigned for the 2019 model year, adding more features to enhance the SUVs off-road abilities. Our team is very excited for the new rugged exterior design of the Wrangler. The 2019 Toyota Prius is a popular and stylish compact hybrid vehicle. While this vehicle may appear to be diminutive on the outside, it actually provides impressive amounts of interior space as well as driver assistance features. The Prius compact hybrid vehicle includes 27.3 cu. ft of cargo room behind the back seat in standard mode. In cargo mode, the 60/40-split rear seats can fold down and create up to 65.5 ft.³ of cargo room. Are you in search of a new minivan? Many of our customers at Brunswick Auto Mart go with the Toyota Sienna. 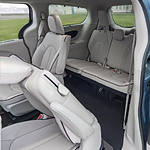 It is a top minivan because it offers a variety of benefits, which include innovative features that enhance comfort and convenience. Let's find out about its comfort and convenience features below. Are you looking for a family-friendly SUV? At Brunswick Auto Mart, the Volkswagen Atlas is a popular choice among consumers because it offers a host of benefits. With the Atlas, you can take advantage of performance features that enhance efficiency and capability. 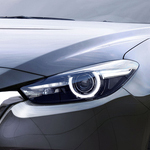 Some of the design features that you can find with the Mazda3 are truly incredible. People often do not stop to realize how much the design of their vehicle matters to them. The Mazda3 leaves nothing left to be desired. The seating in the Mazda3 is second to none. You have never sat in a vehicle like this and had this level of comfort as you drive along the road. That is a simple fact as the makers of this vehicle have worked particularly hard to make sure that their car stands alone in this area. 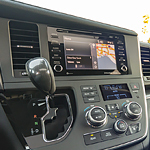 Toyota vehicles currently feature the Entune system which is an integrated navigation system that provides all kinds of information on weather, traffic, sports scores, gas prices and much more. This service is provided by way of a subscription through SiriusXM. Most new vehicles come with a free trial. You simply use your current cell phone plan and run the Entune app while you are in your vehicle. Once you have everything set up then you'll be on your way to using Entune.